Charles Greene will stop traffic, focus attention on your products, communicate your key message points, and then connect the audience with your sales team. Your exhibit sales team will then get an informed and receptive prospect who has just been actively engaged with your sales message. 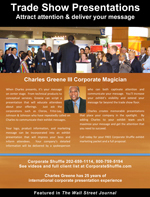 Magical 3 Card Monte: Charles can provide you with branded magical premiums that will promote your message far beyond the exhibit hall walls. Imagine your prospects actively involved with your brand message days and months after the trade show has ended. 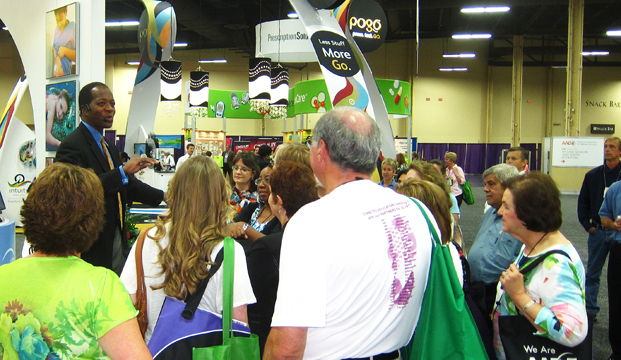 Ask about 3 Card Montes — The magical way to extend your brand beyond the trade show walls. No matter how technical your product is, Charles can custom-script a presentation that will captivate and educate an audience. Your company’s detailed information will be delivered in a professional manner that maintains and enhances your corporate image. Enjoy a magical success at your next conference. Adding Charles Greene to your exhibit team will increase traffic to your exhibit. He’ll maximize your message and give you the attention you need to succeed. 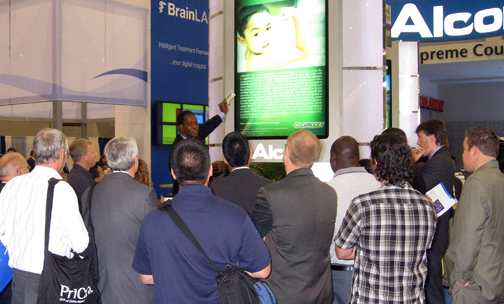 Charles understands that trade shows are your opportunity to place your message in front of your target audience. That’s why he so successful. He gives the message to the starring role of every presentation. With more than 25 years of global trade show experience, Charles will give your exhibit the attention you need to succeed. At trade show and conferences from Beijing to Berlin, his magic means business. Charles has worked at trade shows around the globe.